Born in Moscow, Russia, Andrew Alikhanov began his music studies at Moscow Conservatory Preparatory School beginning classical training on the clarinet at the age of 12. 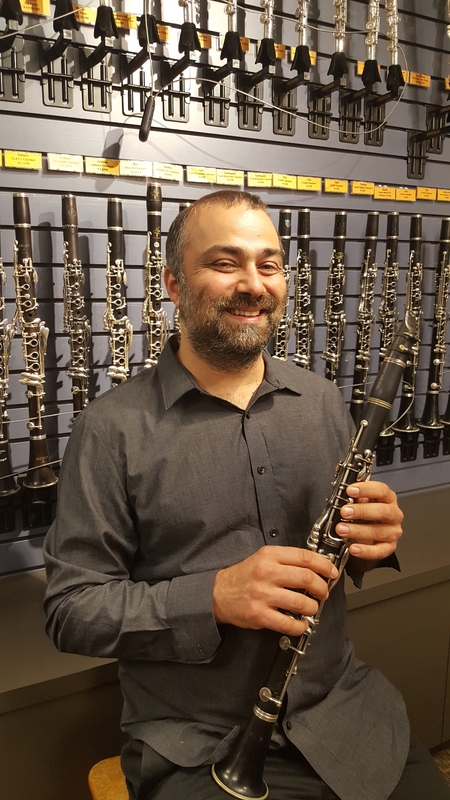 After moving to U.S. he attended Esther Boyer College of Music (Temple University) and Peabody Conservatory, graduating with a BA in clarinet performance from Metro State College of Denver. Before relocating to Portland, Oregon in 2006, Andrew studied with Anthony Gigliotti (of Philadelphia Orchestra), Ronald Rueben (Philadelphia), Loren Kitt (The National Symphony) and Alexander Ivanov (Russian National Symphony). Andrew plays professionally with local and national musical groups such as Michelle Alany and The Mystics, Chervona, Portland Klezmer All-Stars, Professor Gall, Hot Club of Hawthorne, Krebsic Orkestar, Three For Silver, The Underscore Orkestra, and Debauche (New Orleans) as well as playing with notables like Gogol Bordello, Manu Chao, Fanfare Ciocarlia. Instructing students from beginners to advanced Andrew enjoys broadening styles and techniques from classical to various genres like Klezmer and Swing, Russian Gypsy music, Balkan, New Orleans Jazz, Old Time/Bluegrass and even experimental improv. If you have a question for Andrew, or wish to contact him, please fill out the form below. The message will be passed along to the Education Center and they will get back to you.